Week 0 is in the books and the #1 team in the rankings has already changed. IMG played a preseason game against Columbia (FL) and got beat pretty handily. It wasn’t a full game and it won’t count in the standings but it was enough for us to drop them. Figuring out how far to drop them was a bit tricky. They could easily bounce back and run the table or this could be a sign of things to come. We do believe it will serve as a wake up call for what is obviously a very talented roster. St. John Bosco is the new #1 after they had an easy win over Timpview (UT). The biggest riser this week was Centennial (CA) who jumps up 11 spots after an impressive win over previously ranked Chandler (AZ). There was talk that the Huskies defense would lead them this year and after 1 game that looks to be the case. The Huskies have their 2nd big game in a row when they travel to #13 Orange Lutheran (CA) this week. Three new teams enter the rankings this week. All three notched solid wins in week 0. 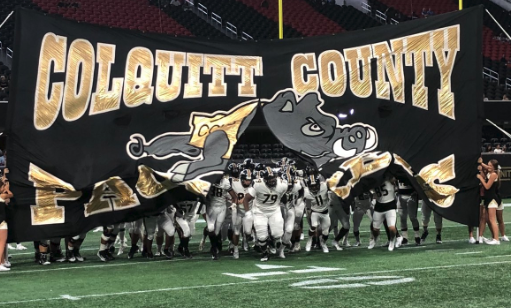 Colquitt County demolished a solid McEachern team 55-7 in the Corky Kell Classic. Also playing in the Cory Kell Rome defeated previously ranked Marietta 51-41 in a game that ended well past midnight. The last new team to enter the rankings are perennially ranked Bingham (UT). The Miners took down Orem 39-22 in a game that most thought would be closer. The Miners have to travel to East in a state championship game rematch. The winner can will have bragging rights as the best team in Utah until the playoffs. This week’s slate of games is highlighted by #3 Mater Dei at #11 Bishop Gorman. There is also a matchup of ranked teams when #20 Dematha travels to #6 St. Thomas Aquinas Check out who the experts pick in those games plus the other Top 10 games of the week in the Pickem Contest later this week. Also follow us on Twitter @PrepForce1 and like us on Facebook PrepForce to keep up with our weekly rankings and predictions as well as our world famous highlights.